Sto Ltd. has quite the pedigree when it comes to awards, and the INCA awards are no exception. 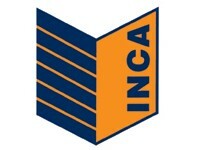 Every year, INCA members vote for outstanding projects constructed using external wall insulation, rainscreen cladding and render. This year, we are very proud to say that we won the category for best 'Non-residential' project. The building in question is Ferndene Children and Young People's Centre in Northumberland. The winning applicator company was Astley Facades (Northern), who shared the award with Sto. The multi-award winning facility is a centre for young people with mental health and learning disabilities. The concept was a hand, whose fingers form four bedroom blocks around the main central 'palm' building. Both StoTherm Mineral and StoVentec rainscreen systems were specified. Being so close to the Northumberland forest, StoColor Lotusan was also specified to keep loose dirt from soiling the walls. The project achieved an impressive 0.25W/m²K U value and a BREEAM 'Excellent' rating. "The subtle use of colour on this project has created an inspiring environment for residents. The seamless application of the render is particularly impressive and the slick design demonstrates the creative opportunities offered by EWI."